News & Trends> Industry News > Packing - Handling - Logistic > Seaweed-based sauce sachet trials in the U.K.
As part of its commitment to tackle the impact of takeaways on plastic pollution, U.K. food delivery company Just Eat has launched a trial of fully-compostable seaweed-based sauce sachets that decompose within four to six weeks. In March 2018, Just Eat announced a package of measures to reduce excess plastics included in U.K. takeaway deliveries. One of the commitments it made was to work with key industry experts to invest in the research and development of innovative and practical alternatives for single-use plastics. According to Just Eat, altogether, more than 11 billion plastic condiment sachets are sold globally. 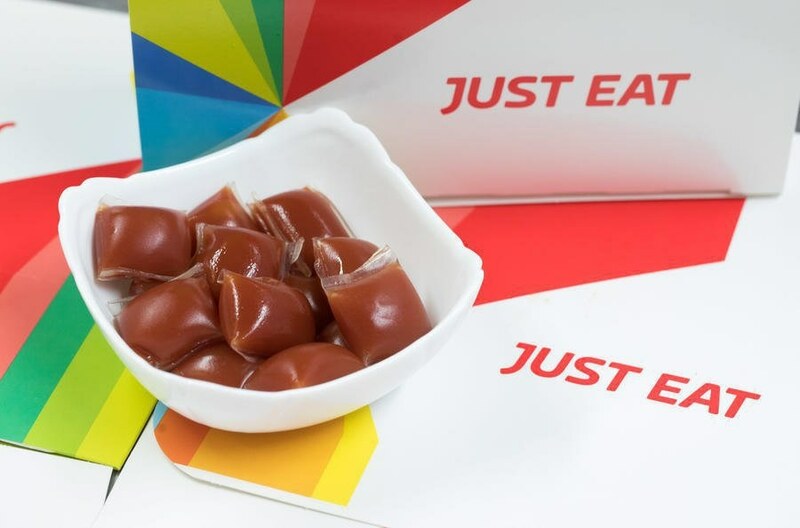 As part of its initiative, Just Eat has teamed up with sustainable packaging startup Skipping Rocks Lab to trial the use of its Ooho seaweed-based sauce sachets with restaurant partner The Fat Pizza, in Southend, England, for six weeks. 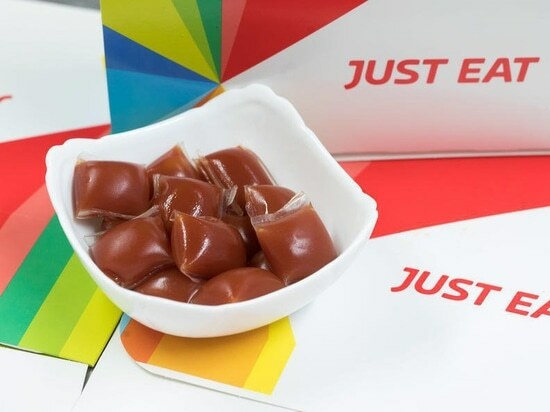 Just Eat works with 29,000 restaurant partners in the U.K.; the trial will assess the feasibility of rolling out the seaweed sauce sachets more broadly across its network. The sachets, filled with either ketchup or garlic sauce, are made from an alginate-based material. They are opened just like normal sachets and can be thrown into the home compost or the normal bin to fully decompose. Just Eat has been involved in other initiatives to reduce plastic waste in the takeaway sector. In March 2018, it stopped selling single-use plastics in its shop. It also trialed a pre-ticked box on its app and website to encourage customers to opt out of receiving plastics they didn’t need. By the end of the trial, 20% of users had requested reduced plastic in their takeaway order.